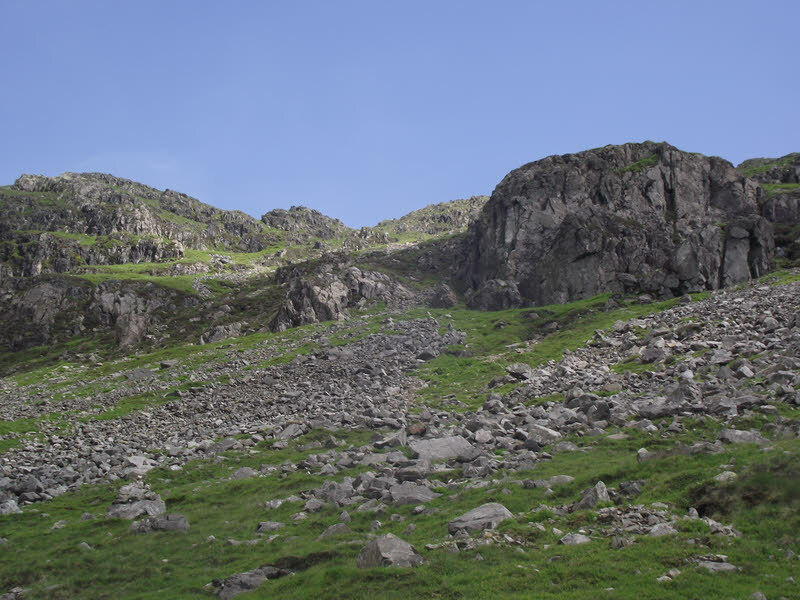 Here we see the start of the 'middle path' up Yewbarrow, taking advantage of a rare weakness in the western crags. The path starts in the bottom left of this picture (small cairn on rock) and heads diagonally up and right across the slopes towards the crag at the right. Part of the path can just be seen in the grassy gap in the scree. At the crag the path turns right and begins to climb.